Registration: Sorry, public registration for this event has been closed. Please call our office for assistance. Created by Congress in 2017, Qualified Opportunity Zones are communities where new investments are eligible for preferential tax treatment. The Charleston Area Alliance worked with the City of Charleston on applications that led to the approval of four zones - giving Charleston more QOZs than any other municipality in the state. Conducted by Steptoe & Johnson, this Lunch & Learn will provide a general overview of the QOZ program, policy and history. This will be the first in a series of four sessions about this important program that is designed to stimulate economic growth across our community. Wednesday, February 13 at 12pm - presentation will last for one hour. 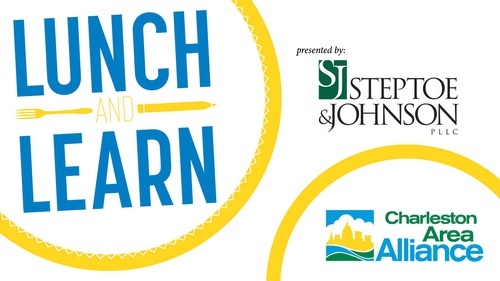 Thanks to Steptoe & Johnson, this Lunch & Learn is free. Lunch will be provided, but seating is limited and registration is required.